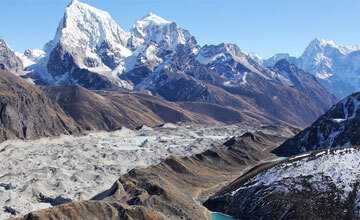 Jiri Gokyo valley trekking is popular trekking route in Everest region. 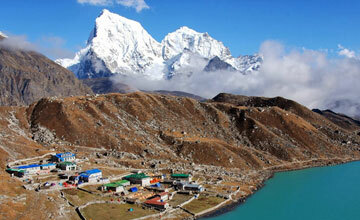 Jiri Gokyo lake trekking offers panoramic Himalayan views of whole solukhumbu region , beautiful landscape , lush valleys. Jiri Gokyo Ri trekking suitable for those Nepal travelers who want to explore the rural village package to high Himalayan outlook. 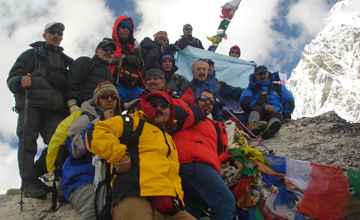 We can say, Jiri to Gokyo peak trekking fit for all age group because of trekking staring from low land and slowly reach the high mountain region at Gokyo peak. 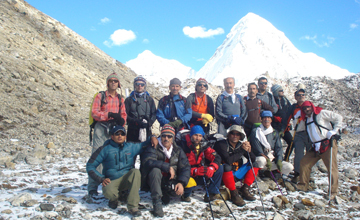 Many trekkers who are involved for Jiri Gokyo lake trekking , totally influenced with positive response and amazing life time journeys in Nepal Himalayas. 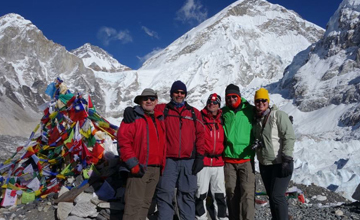 Since Solu Khumbu Gokyo valley trekking trail has been open Himalaya journey Treks and expedition ( trekking tour operator ) has depth experience operate the relevant package trip. March , April , May and September ,October, November is the best season for Jiri Gokyo valley trekking tour but HJT arrange the Jiri Gokyo trekking any date for years according to adventure seekers holiday schedule and wish. Jiri Gokyo valley trekking start from Jiri Bazaar after driving 6-7 hours from Kathmandu and end at Lukla then by flight back to Kathmandu. Hike from Jiri is the best way to do an Everest trek following the footsteps of the old approach route followed by Everest expeditions from the 1950's through the 70's. 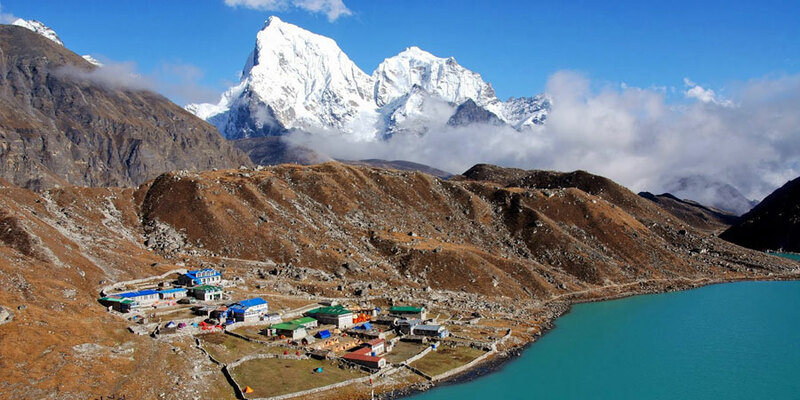 Jiri to Gokyo valley trekking provides a good opportunity to see the densely populated middle hills and the high altitude splendor of the Khumbu or Everest, region. Jiri Gokyo ri trek is continuously rewarded with dramatic Himalayan scenes, including four of the world’s highest peaks: Cho Oyu (8,201m. 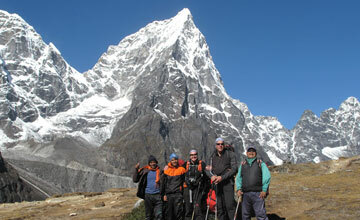 ), Makalu (8,463m. 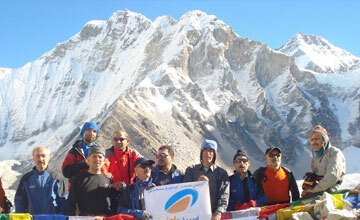 ), Lhotse (8,516m.) and Everest (8,848m.). Breathtaking mountain vistas are complemented by visits to Sherpa villages, homes and monasteries offering you an insight into the quiet but, culturally vibrant Sherpa way of life. 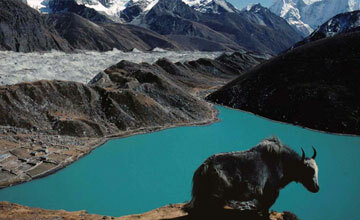 We Himalaya Journey Trekking and expedition arrange Jiri to Gokyo lake trekking according to travelers wish and desire. 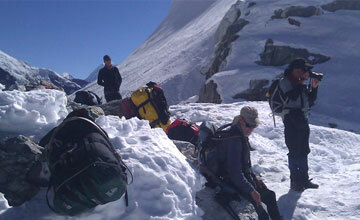 Day 01: Arrival in Katmandu (1334m), transfer Hotel, Jiri Gokyo valley trekking briefing with officially arrangements. overnight at kathmandu. 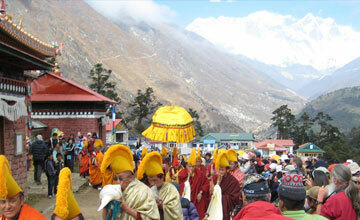 Day 19: Lukla to Kathmandu by flight . Day 20: After breakfast, our tour guide will take to for historical monuments sightseeing in kathmandu valley such as Boudhhanath stupa :visit Bodhnath Stupa, one of the biggest Buddhist shrines in the world, where we observe Buddhist monks in prayer in the monasteries surrounding the stupa than visit Pashupatinath: the most famous Hindu temple in the country, located on the banks of the holy Bagmati River. Here you see Hindu holy men (sadhus) meditating, pilgrims bathing and occasionally funeral pyres burning on the ghats. Kathmandu durbar square: you will enjoy with different Hindus Temple, Goddes Kumari, legend of kathmadu valley.Monkey temple(swyambhunath):you will enjoy with Budhhist stupa from where you will see whole Kathmandu valley view including the Himalayan views etc .overnight at Kathmandu in Hotel. Day 21: After breakfast, relaxing or shopping with own activities then Himalaya Journey Treks & Expedition’s airport representative will drop to you Kathmandu international airport for onward journey. 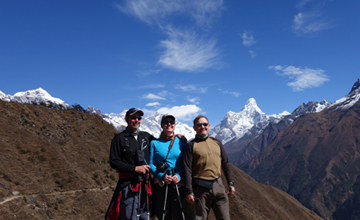 An experienced, helpful and friendly Government license holder trekking Guide. 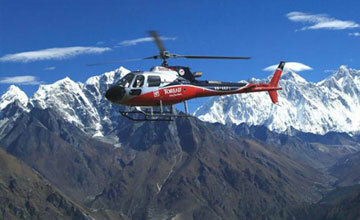 Domestic airport pick up and drop by private car/van/ Minibus / Bus to catch Kathmandu Lukla Kathmandu Flight . Three time meal during the trekking Breakfast, Lunch & Dinner. Guide and porter fares and taxes.Government Tax and office service charge. Nepal entry visa fee US$ 40 (duration 60 days from date of issue)- you may easily issue the visa upon your arrival at Tribhuwan International Airport - Kathmandu. 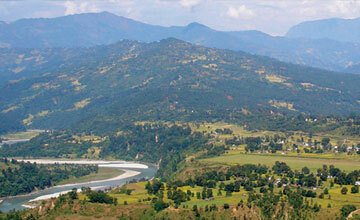 Entrance fees while sightseeing tour in Kathmandu valley. Trekking jacket Gore tax/ flees jacket. 4/5 pairs of good qualities shock . 3/4 pairs of Trekking shirts . Please click on thumbnail image to have larger view. 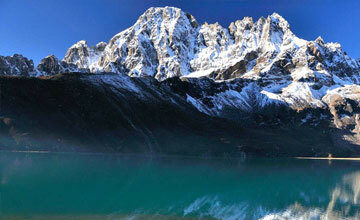 Highest access of the trek: Gokyo Ri 5,350 m.
Himalayan sights: Mt. 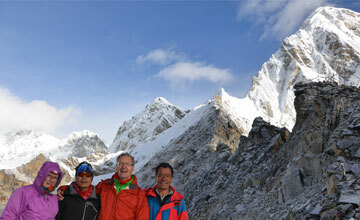 Everest 8848m, Mt.Lhotse 8516m,Mt.Nuptse 7855m, Mt.Amadablam 6856, Mt.Thamserkhu 6723m,etc. 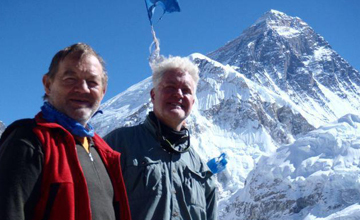 Splendid breath taking place: Everest region trekking, Everest base camp & Kala pattar. 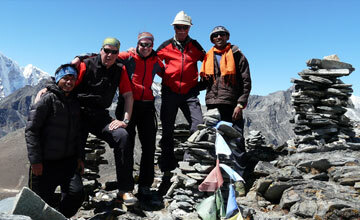 Himalaya Journey Treks & Expedition Pvt. 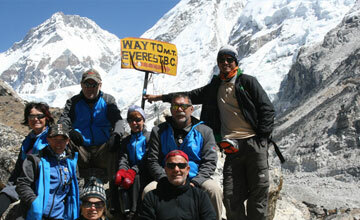 Ltd.
Top 7 Reasons why should do the Everest Base Camp Trekking?